Soccer is the most popular sport in Spain. In fact, according to a study by the Consejo Superior de Deportes (Higher Sports Council), football is the sport with more federated players (more than half a million people), and the second most widely practiced at recreational level (over 30% of Spanish people). With these facts, Spain is the most successful country at club level throughout the World. However, among so many players, it is also more difficult to success as a footballer. 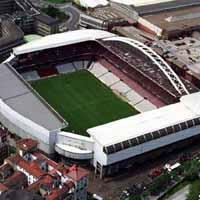 So we invite you to participate in this survey by selecting the best football player from Basque Country in history. What are you waiting for? Go ahead and participate! Who Has Been Athletic de Bilbao's Best All-time Player? Who Has Been Real Sociedad's Best All-time Player?